Take advantage of this flexible, all-inclusive annual getaway opportunity when you purchase a timeshare resale or rental at Allegro Occidental Vacation Club. Browse the inventory at SellMyTimeshareNow.com and save as much as 70% off retail. What’s My Occidental Timeshare Worth? 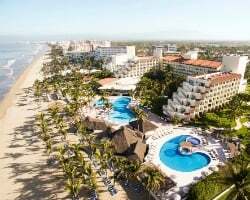 Occidental Vacation Club offers the opportunity to vacation affordably, comfortably, and indulgently with a vast selection of all-inclusive resort properties located in top destinations around the world. Each destination offers it own unique perks and attractions, but the sprawling resort grounds are sure to be bursting with plenty to do and experience. Most resorts offer swimming pools and hot tubs, beach access, spa services, golf courses, fitness centers, on-site dining, scheduled live entertainment and activities, and much more. Not to mention unlimited snacks, meals, and beverages to keep you fueled up for your vacation without having to stress about the price! Accommodations vary by each property, but Occidental Allegro Vacation Club resorts are sure to have everything you need to suit you and your family. Suites range from romantic studios to multi-bedroom units for the whole family. Features include minibars, plush bedding, private balconies, full bathrooms with whirlpool tubs, microwave ovens, entertainment systems, and more. These comfortable units offer the perfect place to unwind after a busy day taking advantage of all the on-site amenities and activities of the resort of your choice. Save thousands on your perfect Occidental Vacation Club timeshare resale or rental today! Get started by completing the form on the right or call one of our knowledgeable specialists at 1-877-815-4227 for more information. You can enjoy all of the great benefits of the Allegro Owners Club for a fraction of the retail cost when you shop the secondary market. When you purchase an Occidental Allegro Vacation Club timeshare directly from a resort, they will charge you the value of the timeshare plus a handful of taxes, fees, and a hefty sales commission. Whereas on the resale market, you'll find timeshares advertised by-owner at prices that reflect the property's market value, which is thousands lower than the original resort pricing. Shop smart as save upwards of 70% off your Occidental Allegro Vacation Club timeshare. Our inventory of Occidental Vacation Club resales features Right To Use floating weeks with annual usage in the Prime ownership season. As a vacation club, owners purchase their Occidental Allegro Vacation Club resale and can use their floating week to reserve a vacation at any of the dozens of properties within the Occidental Vacation Club portfolio of resorts. 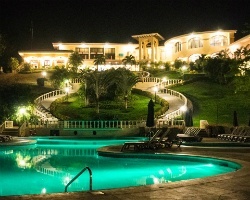 Owners within this club can also opt to stay at any of the Occidental-affiliated hotels throughout the U.S., Columbia, Dominican Republic, St. Maarten or Europe. 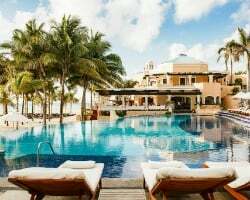 Occidental Allegro Vacation Club is also under the umbrella of the Barcelo Hotels & Resorts brand, known for their incredible all-inclusive vacation properties. 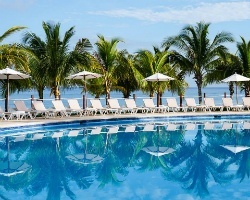 Within Occidental Allegro Vacation Club, there are two different memberships—First Club and Grand Level. Each membership offers it own special perks and unique benefits that are available to owners at their vacation resorts. Features include exclusive parties, private member areas, and discounts on all-inclusive vacation packages. There is also a Club Rewards Program that you can upgrade into, which allows you to use a points-based system for various travel and vacation discounts. Use the points like currency to pay for internal exchanges, extra vacation days, room upgrades, and even maintenance fees. Occidental Allegro Vacation Club timeshare owners can enjoy even more external exchange options outside of the vacation club network. Occidental Allegro Vacation Club Resorts are all affiliated with the world's leader in external exchange, RCI. With the purchase of an affordable annual membership, you can deposit your Allegro Occidental Vacation Club timeshare week for a vacation at any of the thousands of affiliated resorts across the world. RCI is proud to affiliate itself with the best, most quality vacation ownership properties across the globe to ensure you always have an incredible getaway. And with thousands of vacation ownership properties to choose from, you can experience a new and exciting destination each and every year. Already Own at Occidental Allegro Vacation Club?